Global market business strategy consulting in trend analysis, strategic planning, and cross-border partnerships, with extensive experience in the Far East business and financial markets. Global contract research innovators for government and commercial clients in new electronic and biomedical technologies, licensers of proprietary technology, and developers of ventures based on new digital technologies. 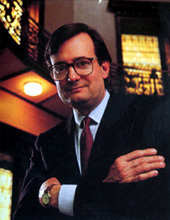 Held authority for and led the firm's international business. Provided ongoing strategic advice and assistance to Sarnoff's CEO and Board. Created, organized, developed, and managed a new International Division for Sarnoff to identify, negotiate, and execute foreign-based R&D contracts in East Asia and Europe across a wide spectrum of proprietary digital, video and wireless technologies. More than quadrupled international contract revenues from 1996 to 1999. Strengthened business relationships with major multinational electronics firms such as Sharp and Sony (Japan), Daewoo and LG Electronics (Korea), and TSMC (Taiwan) in East Asia, and Alcatel and XSYS Interactive Systems in Europe. Founded, organized, and staffed a start-up company, Interactive Health Network, Inc. (HealthNet), jointly with the Sarnoff Corporation, 1994 - 1995. Developed a remote patient information system via interactive television (ITV) with enhanced content on innovative video modules designed to run on existing cable systems. Developed a strategy to license digitizing tablet technology to potential Japanese licensees for Pencept, Inc., and pursued technical tie-ups with major semiconductor manufacturers in East Asia for the direct-write e-beam technology of Multi-Beam, Inc., prior to its acquisition by Perkin-Elmer Corporation, 1992 - 1993. Organized, developed, and implemented long-term strategic planning, guidance and advice to the Chairman and CEO of Bailard, Biehl, & Kaiser LLC, a California-based investment management firm with extensive private client-development needs in Northeast and Southeast Asia, 1990 - 1991. Provided market-penetration strategic and advisory assistance for selected business units in Japan and East Asia for and on behalf of Texas Instruments, Inc., and E. I. DuPont de Nemours, Inc., 1989 - 1990. Served as a strategic planner and advisor to Arthur D. Little, Inc., on behalf of a number of its foreign clients interested in corporate acquisitions and strategic alliances in the U. S. market, 1988 - 1989. Organized, developed and managed a sales department in New York to structure institutional (sell-side) relationships for Vickers da Costa Securities, Inc., after its acquisition by Citicorp/Citibank, 1986 - 1987. Organized, structured, and implemented a trust banking strategy for Citicorp/Citibank in Tokyo, Japan, via a joint venture with the Fuyo Group; this was the first foreign trust bank incorporation allowed by the Ministry of Finance, Government of Japan, 1985 - 1986. Negotiated and closed the divestiture of a Japanese trading company (subsidiary of a privately held Canadian firm) to Cambridge Instruments, Ltd., and provided ongoing advisory input relating to the development of corporate strategies in Japan and East Asia for member firms of the Construction Industry Manufacturers Association (CIMA) and the Business and Institutional Furniture Manufacturers Association (BIFMA), both American-based trade organizations, 1983 - 1984. Negotiated and closed the acquisition of U. S. specialty chemicals companies for Mitsubishi Chemical Industries, a core member of the Mitsubishi Group of industrial enterprises (keiretsu) headquartered in Tokyo, Japan, 1982 - 1983. World-class holding company for subsidiaries engaged globally in corporate banking, financial services, securities underwriting, trading and investment management, and international markets.